Write for us & Guest Post – HDM is starting big community-related DIgital Marketing and Web designing. Now you can also share article or pots in HDM. 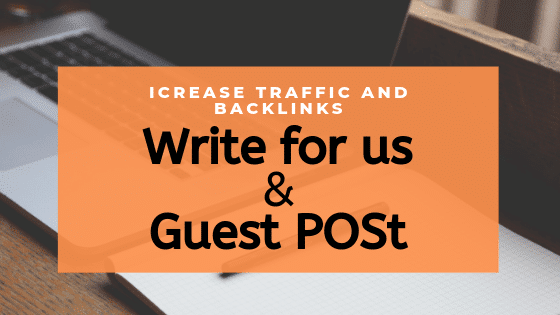 By the Guest post and write for us increase lots of unique traffic on your website and convert guest into the sale. From the guest post, you will be a big community of your brand. You can share your personal knowledge with HDM visitors trough valuable content. Increase backlinks of your website. Which topic for the guest post? Digital Marketing, Email Marketing, WordPress, SEO (On page SEO &Off-page SEO), Webmaster, Analytics, Adwords(Ads), Social Media Marketing (Facebook, LinkedIn, Twitter, WhatsApp, Instagram, and more), Email Marketing, Photoshop, Website Designing, HTML, Java, Coding and Affiliate Marketing and more. What is Rule for Write for us? Do not publish copy or spin article, that should be 100% new articles. Not Grammer mistake on your article. Keyword stuffing article could not be published. Add minimum 1 image with content. How Can Be Published Article? Contact to publish the article in HDM. Gmail Address & Phone Number (Don’t Call / Leave Message only). Published on 11-April-2019. This can be changed by HDM…..